During the past month, I’ve had the very interesting experience of delving into two works by the man from the UK who is probably the best-known writer of Indian history in the English language today (and for good reason), William Dalrymple. The first Dalrymple book that I delved into was The Last Mughal, which anyone familiar with the subject will recognize from its title as being about Emperor Bahadur Shah Zafar II. I had become very curious about this subject because of references to Zafar (as he is fondly known to many) and his poetry in Hindi films and related song performances. So, when I picked up this large book (445-plus pages in pretty small print, not including notes and other chapters outside of the main body), I looked forward to reading a whole lot about Zafar and his poetry. Actually, though, I found that most of the book was not really specifically devoted to either. I have to admit that I was not looking so much for a long war story, but, on the other hand, I must commend Dalrymple for the obviously voluminous research that he did, sometimes extending into incredibly minute details, and for his skill at conveying all these details so clearly that his writing seems very close to flawless. Most importantly, after reading The Last Mughal, I felt far more educated about historical circumstances that I have seen so often referred to in classic Indian films. The Kirkpatricks inhabited a world that was far more hybrid, and with far less clearly defined ethnic, national, and religious borders, than we have been conditioned to expect, either by the conventional Imperial history books written in Britain before 1947, or by the nationalist historiography of post-Independence India, or for that matter by the post-colonial work coming from new generations of scholars, many of whom tend to follow the path opened by Edward Said in 1978 with his pioneering Orientalism. It was as if this early promiscuous mingling of races and ideas, modes of dress and ways of living, was something that was on no one’s agenda and suited nobody’s version of events. All sides seemed, for different reasons, to be slightly embarrassed by this moment of crossover, which they preferred to pretend had never happened. It is, after all, always easier to see things in black and white. Broadly speaking, especially in the first few chapters, White Mughals is devoted to men who moved to India in service to the British East India Company but who ended up eagerly adopting Mughal styles of dress and living because they admired the culture. The connections that Dalrymple makes between the affairs of his main subjects and the social changes that he is eager to write about are very intriguing and quite ambitious. But by the end of White Mughals, I felt that the writing shone most in the conveyance of emotional drama, and I found the drama here to be more moving than many that I’ve read in fiction. I would like to find some passages to show how well Dalrymple builds up this drama, but this is a little difficult because he is not the kind of writer who seeks to dazzle a reader with one or another showy paragraph. The effect of the good writing in this book is cumulative. Certainly, Dalrymple is not averse to dropping a little sentence at the end of a chapter to create a cliffhanger that will keep you turning pages (an obvious trick but fun nonetheless), e.g. : “Yet even here the story does not quite end. For after a gap of more than thirty years there is one, final, extraordinary coda.” But the real reason I kept turning the pages was that I enjoyed the way the facts and circumstances slowly built up and progressed, with one good layer of information following the other, all related in a crafty and skillful way. I think it also became clear in this book that William Dalrymple absolutely loves writing detailed histories centered on solidly fleshed out individual subjects and I believe I caught some of that relish too. For me, this turned out to be a highly enjoyable reading experience in addition to being very educational. In my blog posts of a decade or so ago, I mentioned a number of Sridevi movies and dance scenes. 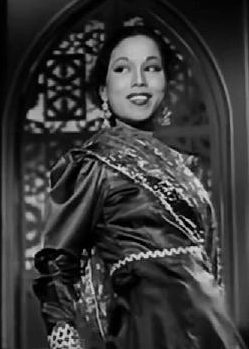 I had watched some of the earliest movies in which she starred as an “adult” (though really only a teenager, as many Indian film stars are when they make their debuts as “adults”), and I also posted about her childhood appearance in at least one film. I also posted a number of scenes of her dances throughout the 1980s, and I seem to recall that those were actually the topic of a good amount of discussion here. (Unfortunately, I can’t find some of that at the moment. Did I delete the posts? Didn’t I have some extensive discussion here with someone about her snake dances?) In any event, my writings and posts were the result of the fact that I did have some great fondness and fascination for Sridevi, and among the actresses who rose up in the ’80s (which usually also are the stars closest to my own age), she is probably the most significant to me – as she is to a lot of people. Some of Sridevi’s earliest movies (as an “adult,” that is) had heavy, dramatic elements, and she did very well with those. But she actually impressed me more when she had the chance to mix dance with comedy. Other people have said the same thing, pointing out her terrific comic timing. Maybe that was her greatest skill. It is so sad to see her life cut off so soon! Farewell, Sridevi, we will miss you (though, thankfully, we will still always have a chance to see you). P.S. I intend to post and write a little more about Sridevi – with more details, links, maybe some videos – soon. Unless I’m forgetting something, it’s been close to ten years since I posted Padmini’s “Maraindhirundu Paarkum.” When I did this in 2008, I subtitled the post “The Nine Emotions” because Padmini’s rapid demonstration of that ancient theatrical tradition – aka the Navarasa – was the aspect of this dance that I have always found most enjoyable and fascinating. Since that time, I have seen a few better clips of “Maraindhirundu Paarkum” and my enthusiasm for it has only grown. Anyway, here is one of those better clips of “Maraindhirundu Paarkum.” Padmini’s sensational display of the Navarasa starts at about 1:20. The Navarasa is also the best part of this dance. The dancer here dedicatedly goes through the whole Navarasa in the latter part of the clip while the names of the emotions are spelled out in a large caption – not only the original names, by the way, but also the English words for them, which I certainly appreciated. (I wish someone had spelled out her name, though – that remains a mystery.) This dancer didn’t dazzle me like Padmini, but she is quite good, especially considering that she is not a film or dance star but, obviously, someone who had to do a YouTube video in some office somewhere during off-hours, when the electronic equipment was covered up. (What kind of equipment is that? Is that printing equipment? Or photography equipment? Maybe it’s medical equipment. I don’t think it’s standard office computers – but it could be.) At any rate, as readers of this blog should know by now, I’ve gained a special appreciation for dancers who become committed to doing their art in everyday rooms not designed for dance or performance events – such as the ones I posted under the title Another Mujra in A Different Kitchen. Let’s add this fine one to the list. Within that post, I also included a YouTube clip from Tripmonk’s channel, which showed a couple of guys playing Raag Yaman AND explaining what it was. Unfortunately, that clip disappeared. But recently, I have found a very nice instructional video about “Raag Yaman in Bollywood Songs.” This video mentions and excerpts from a number of classic film songs that I had never mentioned, including “Kahin Ye Wo Toh Nahin” from Haqeeqat (1964), “Nigahen Milaneko Jee” from Dil Hi Toh Hai (1963) (which is a song I’m very fond of, by the way), and “Abhi Na Jao Chhodkar” from Hum Dono (1961). The teacher in this video, Anuja Kamat, gives a detailed explanation about what makes these songs Raag Yaman, what notes and sequences Raag Yaman contains, and the variation called Raag Yaman Kalyan. She also sings the notes of the raag beautifully throughout. Anuja Kamat has a number of other instructional/singing videos on her channel well worth looking at. There is a second video about Raag Yaman in Bollywood songs, covering more contemporary material. There is also a video about songs based on Raag Bhimpalas, and there are videos that I intend to watch soon that cover more basic subjects such “What Is a Raag,” “Basic Theory of Indian Music,” and “History of Indian Music” (in several parts). So far, this looks like a delightful and very informative channel, and I’m sure I’ll be mentioning some more of Anuja’s videos sometime soon. Percussion Discoveries: Kathak Bols Can Be Great Just for Listening, and I Have Finally Found a Queen of the Dholak! I have realized that not only do I love to watch Kathak dancing, but I also very much enjoy listening to the Kathak bols – that is, the rhythmic syllables that comprise the taal/rhythm. I enjoy the sound of this kind of work even when it is stripped down to the most basic elements: the parhant (the vocal recitation of syllables), the rhythm of the jangling gunghroos strapped around the dancer’s ankles, the feet hitting the floor, and the percussion instrument (usually a tabla). It surprised me how enjoyable this aspect of the dance became to me just for listening, but this is a fondness that grew a lot over time. I ended up reaching this realization in great part because of an album I had downloaded six years ago via the highly interesting eclectic global music blog called Snap, Crackle & Pop. The album was Kathak Dance of India (1961), which this post and a couple of other sources list as being by “Sitara Devi with Choube Maharaj.” I suspect, though, that the correct spelling of Sitara’s collaborator here is Chaubey Maharaj, who was Sitara Devi’s brother. 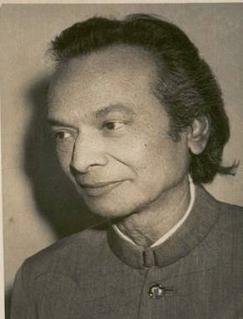 He was a Kathak dancer also, but in addition, he became a fine tabla player, which must be his contribution here. The recording on this LP is pretty lo-fi and there seems to be a musical conversation flowing between Sitara Devi and the tabla player throughout of most of the tracks. The rhythms are complex and kaleidoscopic. I suppose one might ask, why didn’t I post about this six years ago if I like it so much? And the answer is, I didn’t like it as much at first. I considered it a good thing to put through my ears if I needed good background sound or if I wanted to drown other sounds out. But the recording grew and grew on me until it became a real source of listening enjoyment. And now I might say the same about the sound of many Kathak taal videos that I’ve found on YouTube. Sometimes I started listening to the videos without looking at the dances, and they also grew on me. 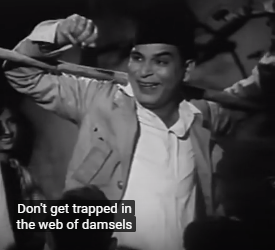 At this point, with a little effort, I probably could compile a list of the YouTube Kathak videos that I like most just for listening to the bols and taals. But I think I will save that project for another time. And Now, Regarding the Dholak . . .
About a year and four months ago, I wrote a post about Three Queens of the Indian Drums. Above the text, I posted a screen cap from the beginning of the film Dholak, of a whole bunch of women playing the dholak. Unfortunately, I had not found any female drummers who played the dholak; the closest I could find was the UK-raised Rani Taj, playing the dhol. I pondered in the post regarding whether there actually could have been all these women playing the dholak back in 1951, considering that there simply were so few professional female Indian drummers in general. I wondered if any of the drummers doing playback for those women on screen were actually women – and I still would bet that none were. So, I thought that the film’s emphasis on women playing the dholak was a real curiosity. Unfortunately, I still haven’t found out about any female dholak players who worked in Hindi films in the 1950s, but I have recently found an excellent contemporary dholalk player with videos on YouTube. Maybe I didn’t find her while I was writing my queens of Indian drums post because I wasn’t looking in the right place. She’s not from India or Pakistan or the UK or the U.S.A.
To give you a hint of where this dholak player is from, let’s say, she’s from some place closer to the countries in the Western hemisphere that obviously influenced the Latin-flavored jazz within that song from the film Dholak. Her name is Chantal (referred to at different times, I see, as Chantal Mangal or Chantal Khaderoe), and she is from the Caribbean – specifically, Suriname. So, I could have put her in one of my Chutney music posts – and maybe I will in the future. But this music from Suriname, known as Baithak Gana, is probably more traditional than most Chutney music that you’ll hear today, with very evident roots in Bhojpuri folk music. And the dholak is very important in Baithak Gana; it is the drum that is traditionally used. So, maybe it’s natural that some of the world’s best dholak players are playing Baithak Gana in Suriname. In any event, here are a couple of clips that show Chantal’s great talent. From what I have seen so far, I think I would be justified in calling her the International Queen of the Dholak!